Nippon Survival Training Center (hereinafter, NSTC) through employment of offshore survival training in accordance to internationally recognized standards, endeavors to assist any persons, associated with the world’s offshore industries, acquire the needed skill sets so that they may react accordingly and survive when accidents may occur. NSTC further contributes to the development of an increasingly sounder and safer offshore industry. The need for Offshore Survival Training has been increasing in demand in an ever increasing number and destructive sizes of offshore incidents due to the number of larger/faster ships and an expanding offshore industry which leads to higher losses in life and profitability. Additionally, the nationally conducted Japan Offshore Resources Development Program involves work conditions at sea which could be extremely dangerous. Even though there is a high necessity in the Japanese Marine and Offshore Industries for survival training, there has never been a dedicated full-scale provider in Japan. NSTC is here so that offshore workers and crew may prevent and/or take appropriate action to marginalize personal injury, loss of life and the amount of loss due to accidents and disasters at sea. 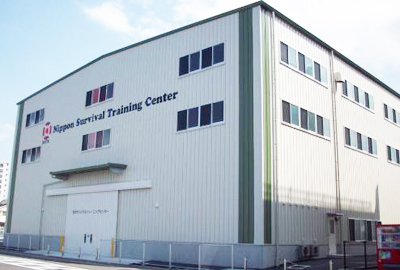 NSTC, Japan’s premier offshore survival training center, which complies with internationally recognized OPITO training standards, cultivates the growth of personal safety and resources that are needed for the safe operation of Offshore Oil & Gas and all other maritime associate industries. Furthermore, our organization’s management system, through continual development and auditing ensures a high quality and efficiency for the safety and wellbeing of all persons while ecologically supporting our environment.